PHP Real Estate Script is a web based system urbanized in PHP and Mysql mainly worn for real estate companies to promote properties. It is easy to use which lets you hold a real estate listing website. Our PHP real estate script has the essential adaptability and simplicity necessary for property owner websites. 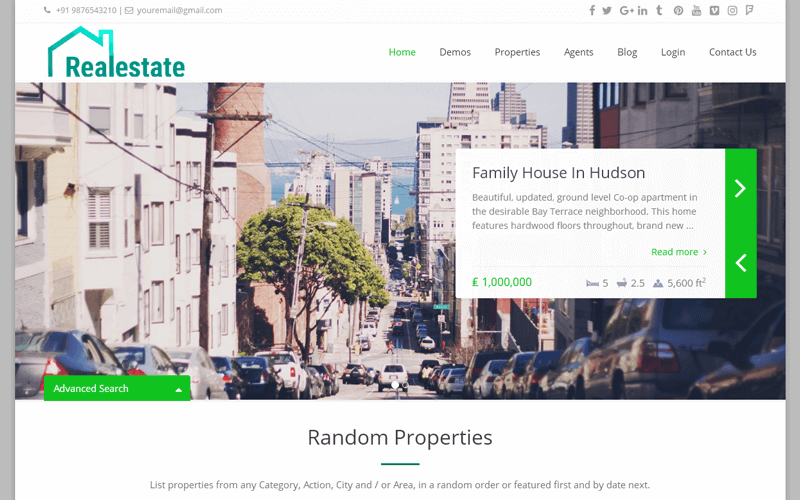 This Open Source Real Estate Agency Script comes with quality-rich, simple to use interface with secluded admin area to make, edit, and delete new listings with multiple images. Without technical in order anyone can sustain our Makaan clone script. It is a light weight situates keeps operating fast when screening multiple properties and the stage searches. Our PHP Realestate Script is Search Engine friendly and gains improved results in search engine. As well as we have a good revenue making methodology like Google ads and Banner Ads and Subscription ads systems in our realtors script. We are equipped to do any type of customization you need in our property listing script. Video, address, details, features and contact details. Contact form for each agent. Listings of the particular agent. This is one of the best script I have ever purchased and one of the best supports I have ever been with. This guy is true professional and know how to treats his/her clients the very right way. I will be glad to buy more scripts from him. I asked for some help regarding installation and he was there to help me out with this and also explained me what was the problem. The developers are talented and guided me fully on my way. This is the right place to start the online business because this company is a guide for all the beginners, non technical people and for all. Even am so much benefitted and so much comfortable with this script. The talented technical crew is an awesome team, will be with you all the way and help all the time. I ask for the company to carry on their great work.